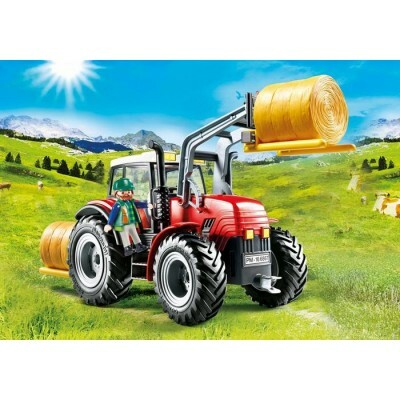 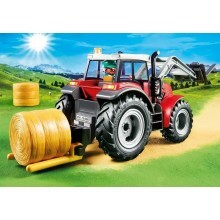 The Playmobil Large Tractor with Trailer features 2 hay bales and a functional front loader. 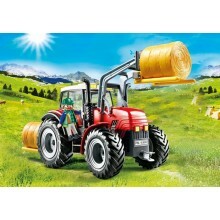 The trailer tilts and the sides and back can be dropped. 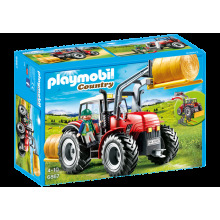 The set measures 48 x 11 x 11cm when built and includes 1 Playmobil farmer and his tools.